A true patent research innovator and thought leader, Bodkin IP founder Andrea Davis has been recognized by and presented to a variety of leading organizations in the field. Abstract: There has been a lot of talk, apprehension and excitement about automated patent searching and analytics tools in the past few years. While some tools promise results with a click of a button, others are wary of anything that doesn’t go through the traditional Boolean and classification searches. As automation takes a more prominent role in the field of patent information, it is important to understand the level of accuracy in those processes. The presentation aims to compare manual classification of a patent data set with workflows incorporating different levels of automatic features of patent search tools working with the same data set. Andrea Davis is the co-founder of this international patent searching competition that was established to bring recognition to the profession, instill a sense of pride, quality and achievement. The first event brought together participants from ten countries that competed in a triathlon-style tiered event. 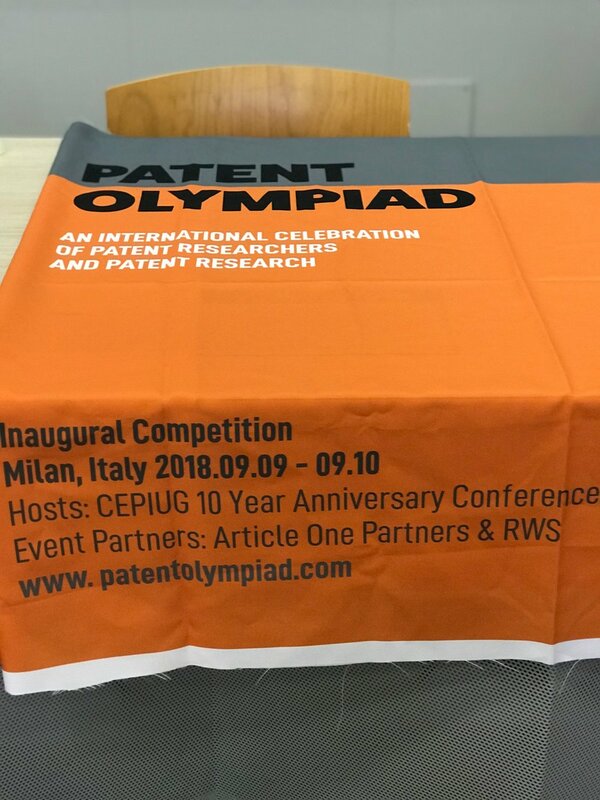 Presented on the 1st Annual Patent Olympiad competition to take place in Milan, Italy in September. Proud to promote the importance of patent information during an event of this Southern California organization that supports Med Tech entrepreneurs. Presented on patent searching resources and methods for graduate students involved in the Blue LINC program innovating technological solutions to address healthcare challenges. Topic: "Quick Automation Or Laborious Manual Tagging – Finding The Right Balance"
Abstract: As automation takes a more prominent role in patent analytics, it is important to understand the level of accuracy in those processes. The presentation aims to compare manual categorization of a patent data set with different levels of automatization from a patent search tool working with the same data set. Topic: "Initiatives & Innovations In The Technology Underlying Patent Search"
The panel considers initiatives or innovations in the technology underlying patent search tools, and the integration of patent-related information from other sources into the search and analysis process. The panel will discuss criteria when choosing between different patent search and analytics tools. The webinar covered different types of patent categorization methods. Ms. Andrea Davis shared her best practices and professional experiences to help you get the most out of large data set categorization projects. Abstract: There are specific steps patent attorneys can take in ensuring that the patentability, freedom-to-operate, invalidity and other patent search reports are up to a minimum professional standard and that best practices have been followed in the pursuit of discovering the best references. Participants received practical tips for handling the challenges of managing outsourcing of patent searches. Abstract: Several kinds of patent searches (FTO, invalidity, collection) were conducted, both with traditional manual searching by professional patent searchers and through various automated and semi-automated patent tools. The results were compared in order to evaluate the quality and usefulness of non-manual patent searching tools. The panel discussed a variety of certification schemes-educational standards, ethical standards, and testing. Andrea was one of only two patent searchers to represent the United States in the International Section of the Patent Searching Grand Prix in Tokyo, Japan. Andrea with members of the PIUG Board: Stephen Adams, Martha Yates, Elliott Linder, Susanne Hantos and Sandra Unger. Andrea received this award in recognition of her integration and streamlining of NuVasive's patent search workflow; her contribution to due diligence leading to an $80 million acquisition; and, in a case where NuVasive was defendant in an infringement lawsuit, her identification of numerous pieces of prior art that enabled a team of in-house and outside counsel to file a successful inter partes reexamination request, which forced the plaintiff to seek reissue of its own patent with narrowed claims, thus ending the claim of infringement. Presented at the PIUG Annual Meeting to individuals who have made a major or sustained contribution to the organization, this award was given to Andrea in recognition of her service to PIUG, for her contributions to the Annual Conference as Program Committee Co-Chair (2013-2014).